Valentine’s Day with the girlies this year? No worries, us too – we got you covered! We planned out your entire day with your besties from eating, drinking, and fun activities. You’re welcome. First things first, let’s start with an easy to make, fresh drink of grapefruit and orange infused vodka. 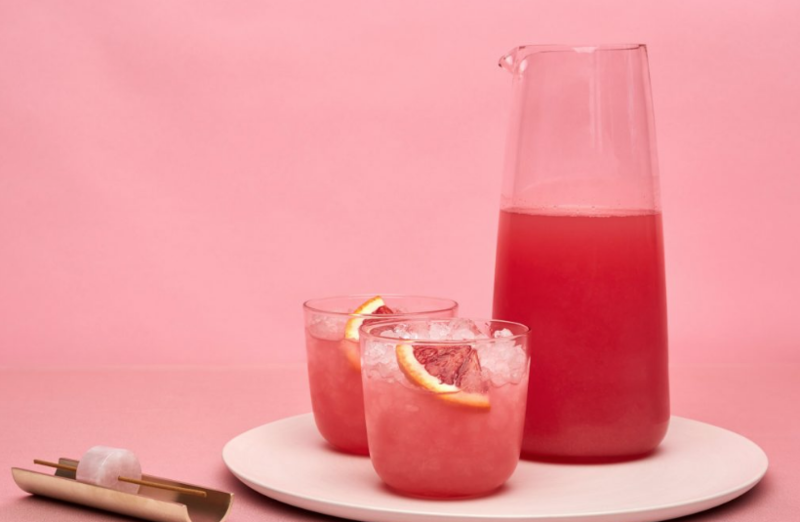 This pretty pink cocktail is so ideal to drink with your friends to start the night out right! You can also add a salt rim to make this a salty hound. Let’s stay sweet this 14th.. or salty. What pairs best with a delicious drink? Chocolate! 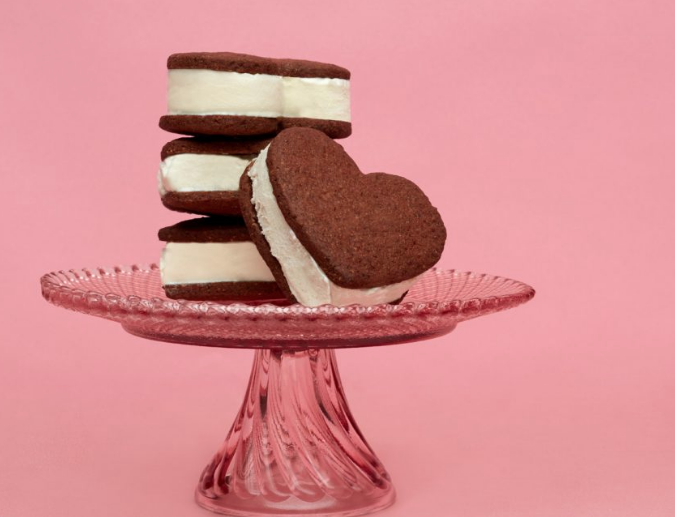 This salted chocolate ice cream sandwich is the perfect festive treat and we are loving the heart shape. Feel all the love while having fun in the kitchen baking some sweets with your bestie. Be sure to treat your bestie to a little Galentine’s Day gift! From cute necklaces, pocket mirrors, and many other items, the list is endless. 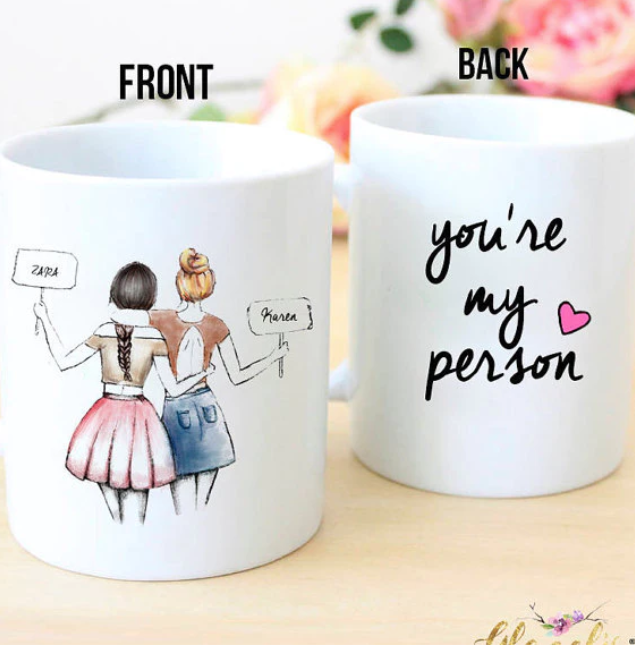 We are so obsessed with this best friend mug. Check out the link above for some other fun ideas. Rather than overspending on an over-the-top dinner, get creative and make a festive lunch with your gals! 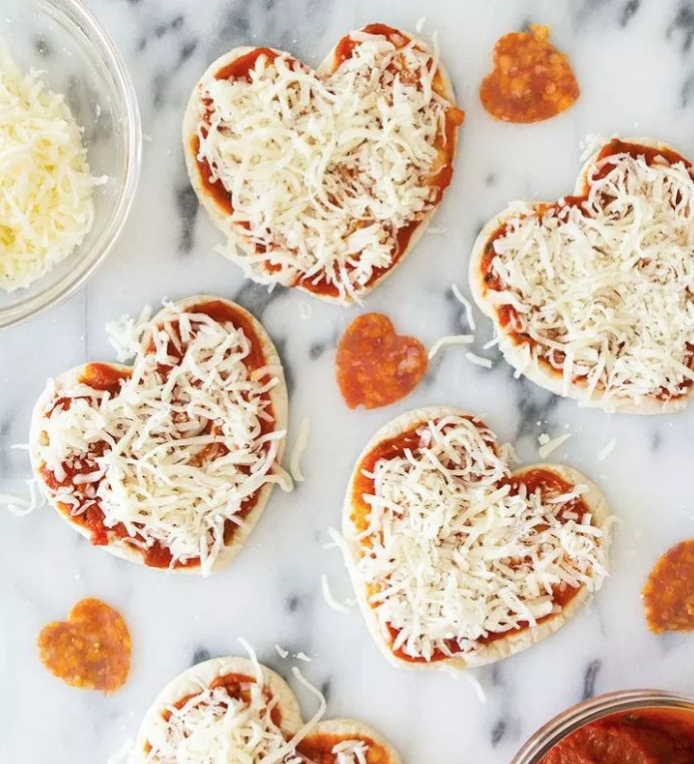 The only thing better than homemade pizza are these heart-shaped pies. Grab some buttery popcorn and a big blanket – it’s movie night! 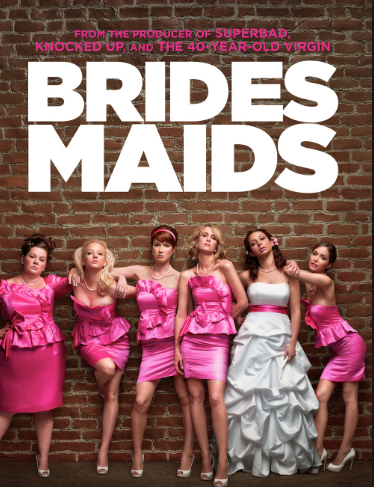 Bridesmaids is a favorite chick flick of ours about a woman’s who finds out she will be maid of honor and her best friend’s upcoming wedding. We promise it will be a night full of laughter! Feel like making your way outside to be a bit more active and take some cute pictures? Ice skating is always a blast, even if you aren’t the greatest at it. Throw on your coziest clothes and go have fun! 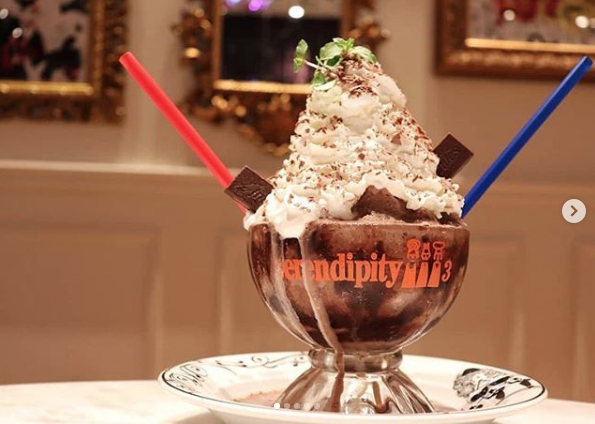 While you are out and about, if you’re in the mood for some more chocolate, Serendipity 3 in New York City is the cutest, small and homey spot to head over to. Grab a big frozen hot chocolate to split, relax and enjoy the night. This yummy treat will make one happy belly and an even happier Galentine’s Day date! 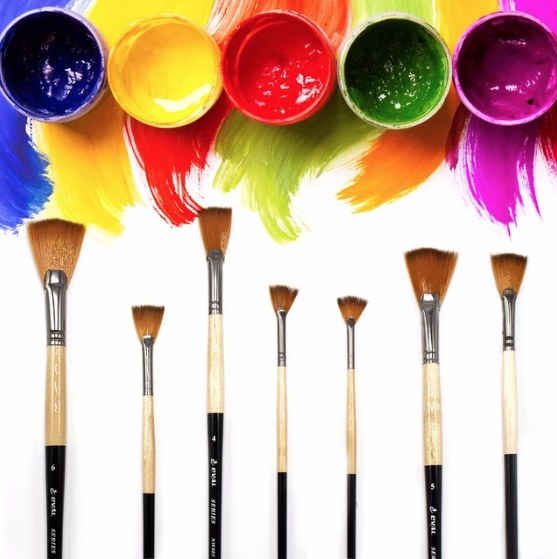 Another fun idea is to go to a painting class (they have wine or you bring your own)! Every week there is a new painting that will be taught and there are super cute ones for Valentine’s Day. Anyone and everyone can do this whether you can paint or not. Above listed are a few links to some places around the city. When it comes to dinner we all just want to throw something together that is healthy yet delicious. 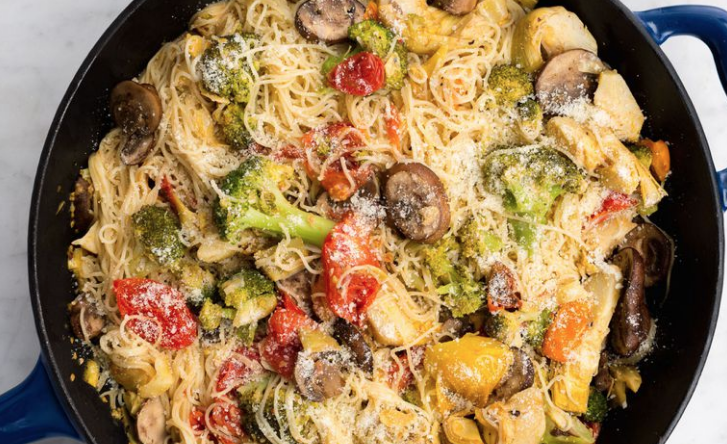 This 35-minute recipe for a veggie pasta primavera is the perfect go-to! It’s not too heavy and you can cater it more to your liking whether it’s adding chicken, seafood, tofu, or different vegetables. Okay, let’s get a little more daring here… I’m talking sweets and booze. 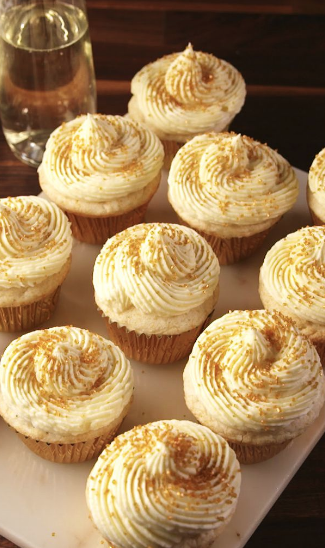 These champagne filled cupcakes are mouthwatering. If you’ve had too much chocolate and need a break, grab some vanilla cake mix and champagne and you’re ready to go. It’s super quick and easy to make and will make the night that much better. 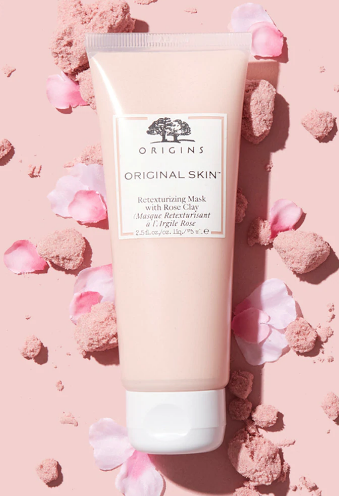 End the night with this moisturizing Mediterranean rose clay mask that will leave you glowing for tomorrow. This mask is exfoliating and will reduce your pores.